Note: Printed Matter Vancouver is looking for sponsors for the events in Vancouver. If you would like to donate any amount to make this visit possible, please write a check payable to “Angst Gallery” with “Meltzer” on the Memo line, and send it to or deliver it to the gallery (address below). 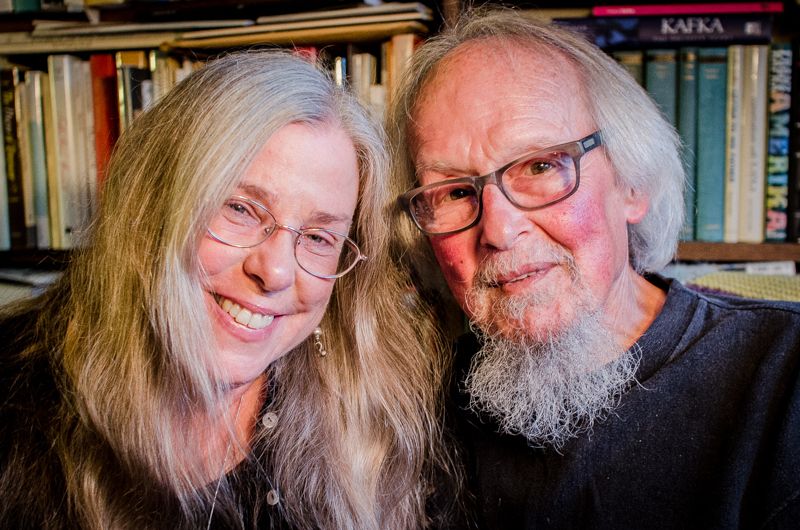 A Couple of Poets, David Meltzer and Julie Rogers, have been performing their work together since 2010. Each will read solo and they’ll cap the evening with a back and forth poetry improv, referred to as “Fours” in the jazz world. David Meltzer began his literary career during the Beat heyday and is considered a prominent figure in the San Francisco/Beat Renaissance. At the age of 20 he recorded his poetry with jazz in Los Angeles. Lawrence Ferlinghetti has described him as “one of the greats of post-World-War-Two San Francisco poets and musicians.” He is the author of many volumes of poetry including Arrows: Selected Poetry 1957 – 1992, No Eyes: Lester Young, Beat Thing, and David’s Copy. He has also published fiction and essays including Two-Way Mirror: A Poetry Notebook and has edited numerous anthologies and collections of interviews such as The Secret Garden: An Anthology in the Kabbalah, Reading Jazz, Writing Jazz, and San Francisco Beat: Talking with the Poets. His most recent book of poetry, When I Was A Poet, is # 60 in the Pocket Poet’s Series published by City Lights. For decades, David Meltzer has read his work and taught at countless venues in the United States and Europe and he continues to give talks and readings in the SF Bay Area and elsewhere. 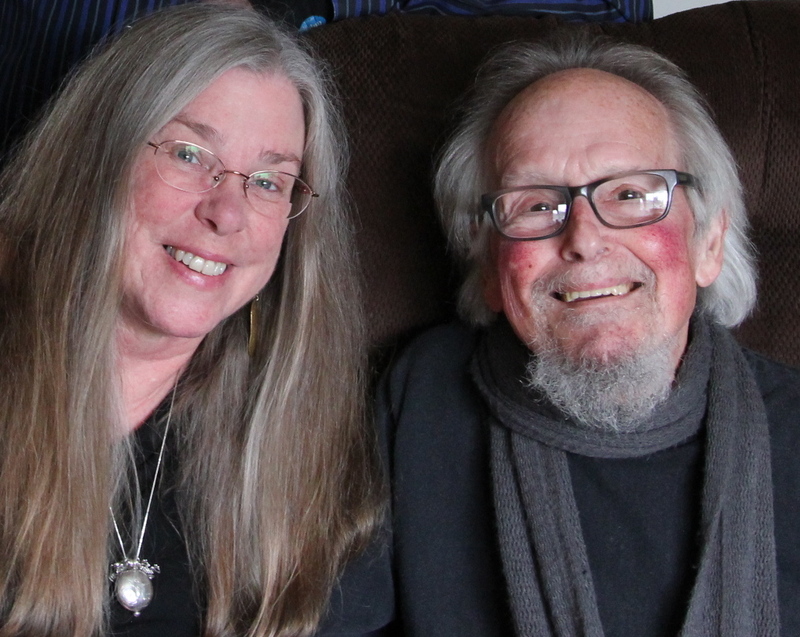 In 2011 he and poet Julie Rogers married; they live in Oakland and now perform their work together. David was given the Bay Area Guardian’s Lifetime Achievement Award in 2011 and in 2012 was nominated for the Northern California Book Award in Poetry. This year, City Lights reissued a special edition of Two-Way Mirror with an updated addendum. Diane di Prima, former SF Poet Laureate says of him, “David Meltzer is a hidden adept, one of the secret treasures on our planet. Great poet, musician, comic; mystic unsurpassed, performer with few peers.” See his website at http://www.meltzerville.com. Julie Rogers entered the San Francisco poetry scene during the 1970’s. Her poems were first included in a San Francisco anthology in 1980, and she later published six chapbooks. She has read her work on public radio and television and at many venues in California and Oregon. Decades of involvement in the Tibetan tradition of Buddhism have influenced her writings, and in 2007, Vimala published her Buddhist hospice manual, Instructions for the Transitional State, with which she will soon begin a training program. Her poetry has been featured in various journals and anthologies such as Beatitude – Golden Anniversary 1959 – 2009, Poetry Flash, Sparring with Beatnik Poets, Big Scream, The Cafe Review, World of Change, and others. In 2012, Wild Ocean Press published her first selected collection of poetry spanning thirty years of work, House Of The Unexpected. Omerta Publications released her chapbook Street Warp in 2013. Penguin/Random House is currently considering another book-length volume of her poetry. Julie teaches creative writing for kids and adults, and performs solo, and with her husband, David Meltzer. Beat poet Michael McClure has said of her work, “Few poems are written as close to the heart — no extra words, just soul meanings…” See her website at http://www.julrogers.com. An educational talk designed for teachers, students, and enthusiasts who are interested in and enjoy reading, writing, and/or teaching poetry. David Meltzer, Beat & SF Renaissance Poet, will offer a talk and open conversation with participants to explore some of the basic mysteries of poetry & poetics. Some material covered will come from his book, Two-Way Mirror: A Poetry Notebook (published by Berkeley’s Oyez Press in 1977, and reprinted in an amended edition by City Lights in March 2015). 1. poetry’s roots in oral culture, 2. the invention/mythologies of writing systems, 3. the book and the page, to 4. its present tense return to orality & the wired realms of reading/receiving texts. Other material utilized will be from lectures given in the graduate Poetics Program at New College of California exploring divination, the prophetic, Kabbalah, & the possibility & impossibility of language. This educational talk is designed for teachers, students, and enthusiasts who are interested in and enjoy reading, writing, and/or teaching poetry. Meltzer’s book, Two-Way Mirror will be available for purchase by the participants. One of the key Beat poets of the San Francisco Renaissance period, David Meltzer came to prominence as the youngest poet to have his work included in the anthology, The New American Poetry 1945 – 1960, edited By Donald Allen. He is the author of more than 40 books of poetry and prose including Arrows, No Eyes: Lester Young, Beat Thing, and David’s Copy. 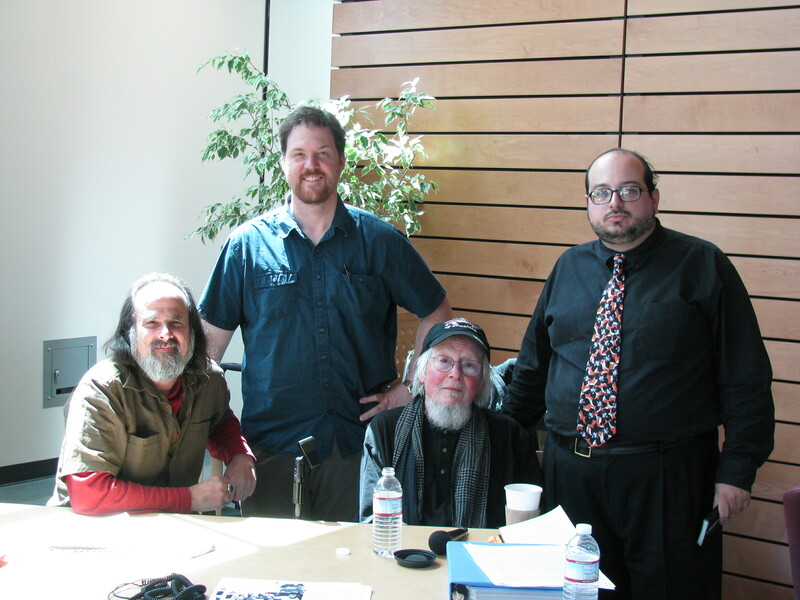 He has edited numerous anthologies and collections of interviews such as Reading Jazz, Writing Jazz, The Secret Garden-An Anthology in the Kabbalah, Birth, Death, and San Francisco Beat: Talking with the Poets. He also edited and published Tree Magazine and Tree Books. Lawrence Ferlinghetti has described him as “one of the greats of post-World-War-Two San Francisco poets.” A recent book, When I Was A Poet, is # 60 in the Pocket Poets Series published by legendary City Lights of San Francisco City, who this year reissued his book, Two-Way Mirror. 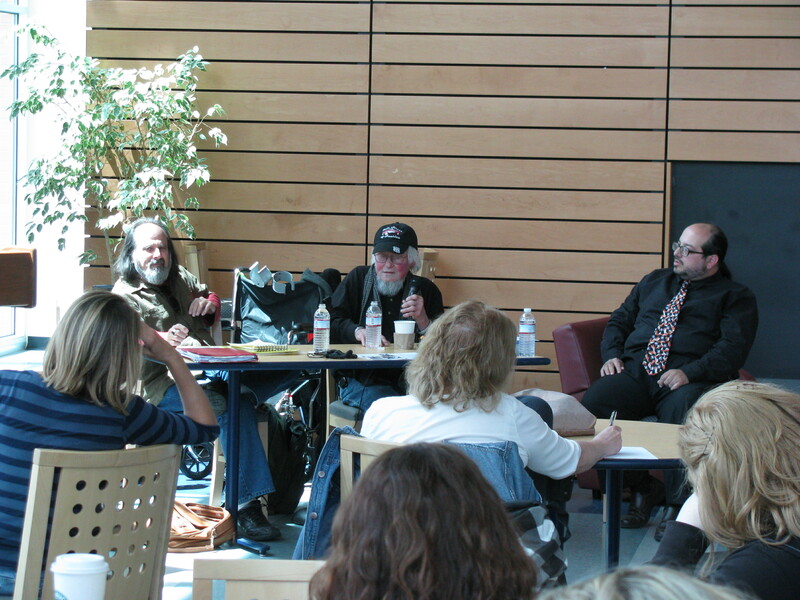 In 2011 Meltzer was nominated for the Northern California Book Award in Poetry. 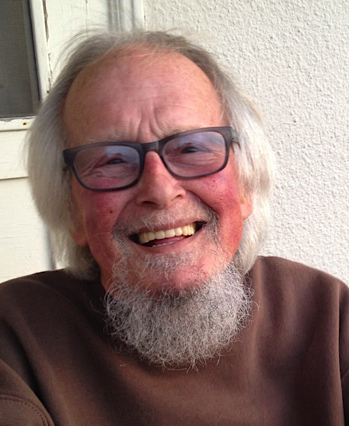 David Meltzer taught at SF State, The Urban School of San Francisco, Vacaville Correctional Facility and in the Humanities and graduate Poetics programs at New College of California in San Francisco for 30 years. He is known for his inspiring and witty teaching style. Visit his website: http://www.meltzerville.com. MELTZER & ROGERS’ UPDATE & SCHEDULE 2015 winter/spring and onward! Hello and Happy 2015! Hope it’s going well so far… we’re happy to say that David is feeling good after last year’s health storm AND today’s post-op ultra sound was normal! We’re so happy and relieved! David says he’s ready to get out there, so here’s our current schedule – check back for updates… We hope to see you down the line! David’s upcoming hit, ‘Two-Way Mirror-A Poetry Notebook’, will be released by City Lights in just a few weeks. Now almost forty years after its first issue, he’s added an addendum and has taken what was already an inspiring, one-of-a-kind poetry guidebook and sent it into a new realm. His book release at City Lights is April 8. Hope you can make it! As well, our CD, Two Tone Poetry & Jazz, a playful swingin’ improv of our poems with sounds by saxophonist Zan Stewart, should be coming right up… recorded right in our living room by Pureland Audio. To check us out, our websites are http://www.melterville.com & http://www.julrogers.com. Wed. April 8 – 7 p.m.
A book signing by the author will follow. $40 for adults / $30 for seniors & students. Thurs., July 2, 2015 – 6:30 p.m. Thurs., July 16, 2015 – 6:30 p.m.